Types Of Teams - Leaders and All! Many of you have been asking opinions on teams, the best leaders, which crew-members. How do they work together? This article serves to answer all those questions. Listed are the best Leaders in the game with their teams. Probably the most popular and easy to make team at the moment. Many consider Slasher Teams to be the best. But who should go into a Slasher Team? Who is the best to use? What are the pros and cons? Click for more details on Arlong Slasher Teams. Running the Baratie is Chef Zeff. He's a Farmable Unit that grants a massive 2.5x ATK boost to Fighter Units. Who does Zeff want to hire for his restaurant? What are the Pros and cons? Click for more details on Chef Zeff Fighter Teams. 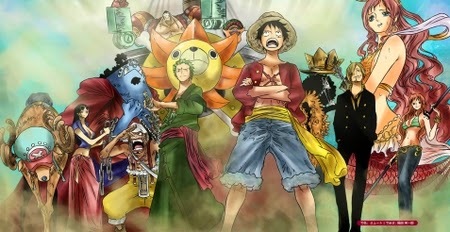 One of the more unique teams in One Piece: Treasure Cruise. Vivi teams have been most helpful for people struggling to kill Arlong. Mainly losing out to the more ATK-based teams. Why is it so? Click for more details on Vivi Heal Teams. Free starting unit for every account - Luffy makes a strong leader for any player running STR Units. He gives a boost that is equal to Arlong so why isn't he as popular? Obtained free for beating Captain Axe-Hand Morgan. Roronoa Zoro has arguable one of the most powerful Captain Effects in the game - 2x Health and ATK of DEX Units. But why is he not as popular as Arlong? Portgaz D. Ace is one of the Premium Units in the game. Many want to roll him due to his powerful 2.5x ATK to QCK Units. But why does everyone want him so badly? Red-Haired Shanks is one of the most sought after units from Re-rolls. He may have a powerful Captain effect that grants 2.5x ATK to PSY Units, similar to INT Teams?! 2.5x ATK boost to INT Units. Even without a Nico Robin very strong. Click for more details on Towel Nami INT Teams. Most fearful and powerful Captain for a long time. Click for more details on Luffy Gear 3rd Teams. We hope that this can help players with deciding which leaders to roll for, what type of team to aim for and solve many concerns.